Ladies Chatties Slip On Water Aqua Shoes Only $9.99 Plus FREE Shipping! You are here: Home / Great Deals / Ladies Chatties Slip On Water Aqua Shoes Only $9.99 Plus FREE Shipping! Footwear on the beach can be a tough challenge,what with all of the sand! 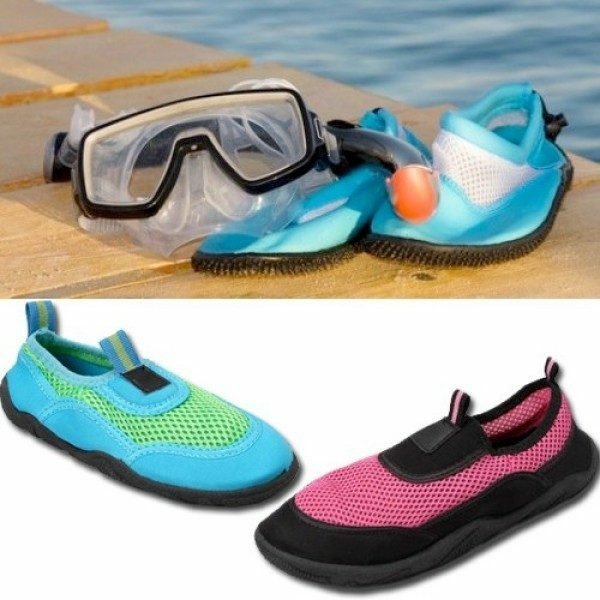 These Ladies Chatties Slip On Water Aqua Shoes for Only $9.99 Plus FREE Shipping come with a flexible rubber outsole for stability on any surface, and a cushioned insole for a comfortable fit!